Thinkerer (Selby Evans) delivers comedy lines from the internet. Burn2: Carnival of Mirrors, Oct. 18­-25, 2015 Get your plot now! Data journalist, designer and founder of the blog sensation 'Information is Beautiful' (http://www.informationisbeautiful.net/) David McCandless visited the RSA to demonstrate how visualized information can help us comprehend, navigate and find meaning in a complex world. 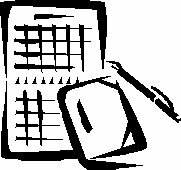 EVENTS: Upcoming: Opportunities and events on HG. 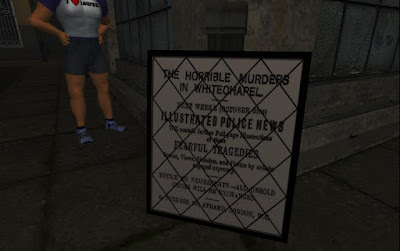 2015 WRITE: The Whitechapel atrocities, investigation continues. Timeline violation or fiction? The Whitechapel atrocities, investigation continues. A story from history. With no ending from history. Some of the scene rendered here. More to show. A call for detectives. Interactive fiction, storybuilding Of interest to writers, historians, journalism teachers, educators, and mystery fans. A dark place of dark deeds. Whitechapel, 1888. Virtual worlds are made by people, and for people. With a little skill, you can make the world you want to show. You control the sounds, the sights, the colors, the movements, the whole environment. If you can make music, you can also make the visuals. Just as Disney could do in Fantasia, but without the cost. Multimedia art in the metaverse is the art of putting these things together to create a new art in the new medium of virtual worlds. 2015 PEOPLE: EDU: Learning for life. Learning for living. Life-long learning. No legal requirement. And when you are retired, you get paid for staying alive. You don't have to know anything. But if you get comfortable with not learning anything new, maybe you won't know anything but the past. But you may not be comfortable with just the past. That is called curiosity. Here are some ways to treat it. I am much too old to be doing this! Voluntarily housebound? Yes. By choice. Oh, I walk outside on occasion, when the weather is nice. And I go out once in a while for medical attention. And I chat from time to time with the people in old folks home where I live. Most of my friends are online in the virtual worlds where I also live. They are younger. This week at the Short Poetry Workshop we’re doing GeoPoem which is a short poem based on a geographic location anywhere in the world, specified by latitude and longitude coordinates ("lat-long"). A GeoPoem has two stanzas of 6 lines. The digits in the lat-long determine the count for each line. So join us at the Short Poetry Library as we travel the world through poetry. Are you a confident creator? Are you among the held back? Are you a safety firster? It matters for your future. Think how things were in 2001. Have you handled any changes? Did you cope with them? Did you master and use them? Will there be any changes in the next 15 years? How will you deal with them? The new digital learning age has three main groups who experience technological change in different ways: the confident creators, the held back and the safety firsters. Anthony Painter, Director of Policy and Strategy at the RSA, discusses the attributes of each group and how a ‘cities of learning’ initiative could help more people benefit from the new digital learning age. Multiple award winning American filmmaker, Chic Aeon's brings us 'Folding Time', a soulful film that touches the very soul. Video and sound to accompany voiced poem. Is the printed page really the best medium for poetry? MachinimUWA VIII: Pursue Impossible, 8th UWA Short Animated Film Challenge. UWA's L$560,000++ Pursue Impossible Art & Film challenges. CLOSING DATE FOR SUBMISSIONS: 31ST OCTOBER 2015. HG WIP Show Friday, Aug 21, Sun. Aug 23. Why do I think this lady is an expert in writing a feature story for internet consumption? Controversial topic. SEO catching word. Breaks the limits of virtual worlds. Invites all readers. Invites comments from all sides. 2015 EDU: GAME: iCivics: Do I have a right? iCivics: Do I have a right? Civics instruction game. iCivics developed. Junior State of America applied. K12 should be interested. Lots going on. Does everybody know where the action is? The Hypergrid WIP is a one hour "show & tell" of works in progress or recently completed. All builders from beginner to pro are invited. Presentations are in voice and text. For text presentations, best bring the text in a notecard and paste it into chat. Voice presentations may be captured in video. Stills and videos from the show may appear in this blog. HG address: Put the line below in the world map, next to Find. Click Find. TP. 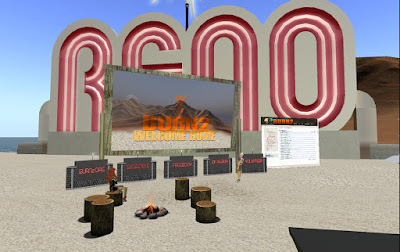 2015 PEOPLE: ART: BURN2, Carnival of Mirrors, Oct. 18­-25, 2015 Get your plot now! The annual Burning Man event is emulated in Second Life. Preparations for the event are ongoing now. You can buy a plot, enter the plot lottery, enter the Juried Art Camp, or simple spread the word in your social media. Now is the time to start. Get a Plot before 8 September, Get Some Extras! Mirror water, custom shaped plot, increased height limits. Released: The pilot (first episode) of a comedy version of the Flying Saucer epics popular in the last century. A proof of concept about what we can do in the virtual worlds of this century. This episode was written, cast and "filmed" in virtual worlds. 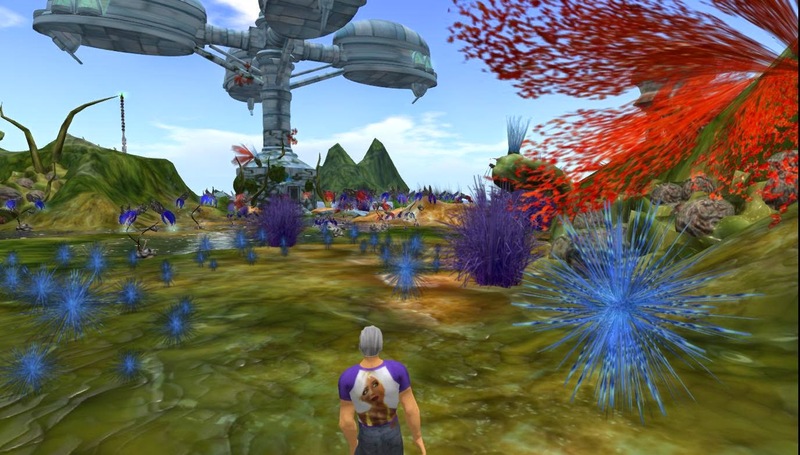 All sets were built in virtual worlds and the action was captured by machinima. Both promos were captured in Second Life. A video product of New Media Arts, Inc.
2015 EDU: GAME: Gaming as training. Training as gaming. Don't write it, put it in the action! Gaming as training. Training as gaming. Don't write it, put it in the action! People learn from experience. Skilled readers can imagine what they read and thus experience it. 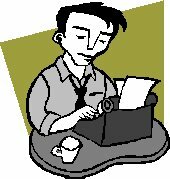 Write instructions and you limit your audience to skilled readers. You don't have to write instructions in the virtual worlds of computer games or of the Metaverse. Here is how you can build instruction into your virtual world. This instruction is specifically for getting started in the world, but you don't have to stop there. A look into user experience and how by giving our learners subtle clues we can help to move away from traditional text based instructional approaches. Build the world for your story in a virtual world. Bring friends in the world to improvise or role-play the story. Post episodes as they develop. Get comments from the readers. Let them say where they want the story to go. Probably not the best way to write your second novel. But maybe of help in writing your first. A world in flux, Transgenia is evolving slowly after its discovery by an ill-fated research expedition. Arriving, they found a simple world, covered only in oceans, low land masses, and what looks to be bright green algae. When they began interacting with the ecosystem, however... it began to change. It took DNA from them, from their plants and animals, and incorporated it into itself, evolving, mutating, becoming more complex..
2015 EDU: WRITE: A dark place of dark deeds. Whitechapel, 1888. A dark place of dark deeds. A story from history. With no ending from history. Some of the scene rendered here. More to show. But it will take guts to show it. Of interest to writers, historians, journalism teachers, and mystery fans. Immersive views. Echo Starship plays. Art in sound and sight. Imagine it on that big vid screen on your wall! Theodore Zeldin has engaged in a lifetime of philosophical study. He now argues that both the greatest problem and the greatest opportunity of the twenty-first century are to be found in our relationships with others. HG WIP Show Sun. Aug 9.